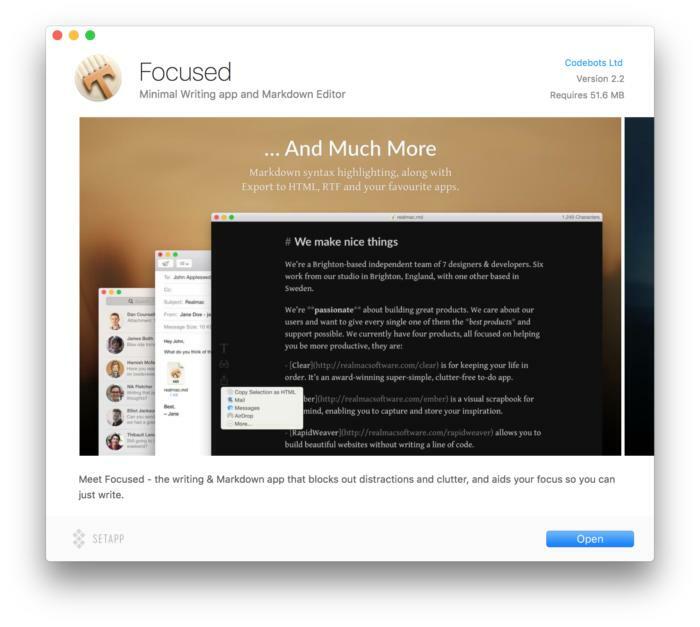 MacPaw’s new subscription service is intended to be an alternative to the Mac App Store, to benefit developers and consumers alike. Every time a piece of big-name Mac software goes to a subscription-based model, reactions are mixed. TextExpander even reversed its decision, bringing back a stand-alone version of TextExpander 4 to sell alongside the subscription-only TextExpander 5. 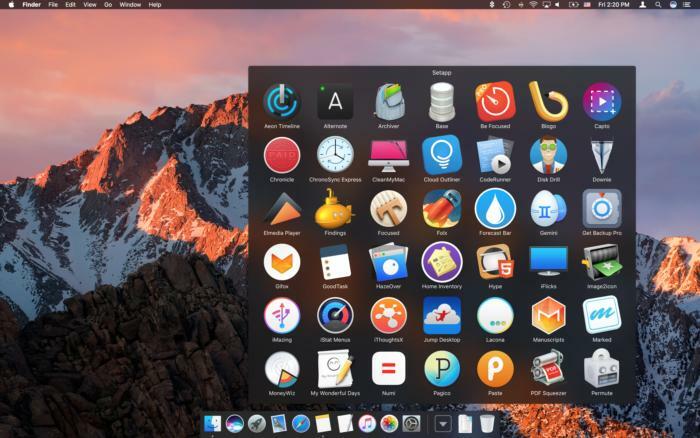 Now MacPaw wants to make subscription-based Mac software popular by offering a bundled suite of apps for $9.99 per month. Setapp, its new subscription service, launches Wednesday. For a flat monthly fee, subscribers will get access to 61 apps at launch, including Cloud Outliner, Focused, Blogo, Pagico, RapidWeaver, Ulysses, Screens, CleanMyMac, and more. MacPaw will add more apps to the service over time, and they’ll all be available ad-free with no in-app purchases or upgrade fees. Setapp installs as a folder on your Mac, and inside you’ll find a suite of 60-plus apps ready to download and use. To use Setapp, you’ll install a small app that puts a folder in your Finder. Inside you’ll see all the apps available, and you can download them (which requires an Internet connection, naturally) and then use them offline for as long as you maintain your subscription. Apps you download via Setapp are updated automatically in the background. 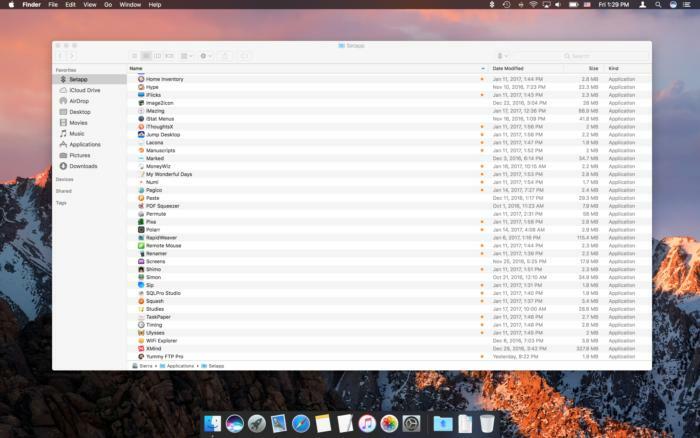 MacPaw hopes Setapp will be an alternative to the Mac App Store that improves upon that experience for both developers and consumers alike. Developers can get around the Mac App Store’s sandboxing restrictions, and don’t need to invent their own workarounds, like offering a “lite” version in lieu of a free trial or requiring customers to pay full price for an upgraded app. You can see a preview of each app before you download and install it. Updates happen automatically in the background. MacPaw says that developers will receive 70 percent of the Setapp revenue generated by their apps, based on how much customers use the app during each billing cycle. This incentivizes developers to keep their apps compelling, as does the “partner fee” that gives developers a slice of the remaining 30 percent “based on the lifetime value of each user they have brought to the platform,” according the MacPaw. Setapp distributes your subscription fees to its app developers based on how much you use each app in each billing period. Mac users who want to try Setapp will need OS X 10.10 (Yosemite) or later, and MacPaw is offering a one-month trial of the service. The 61 apps included at launch are below, and MacPaw plans to add more, while keeping the $9.99 monthly fee the same. Be sure to read our hands-on with Setapp and find out what it’s like to use the software.